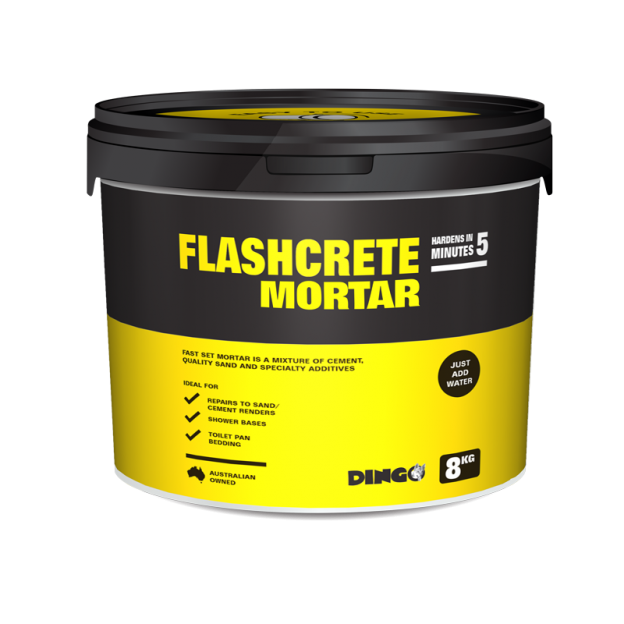 Flashcrete is a mix of sand, cement and premium grade additives for fast repairs. Suitable for around the home and building site, patching around electric & plumbing fittings, re-pointing on block, brick and render walls. It hardens in approximately 5 minutes. Just add water into the bucket and mix: No wheel barrow required. 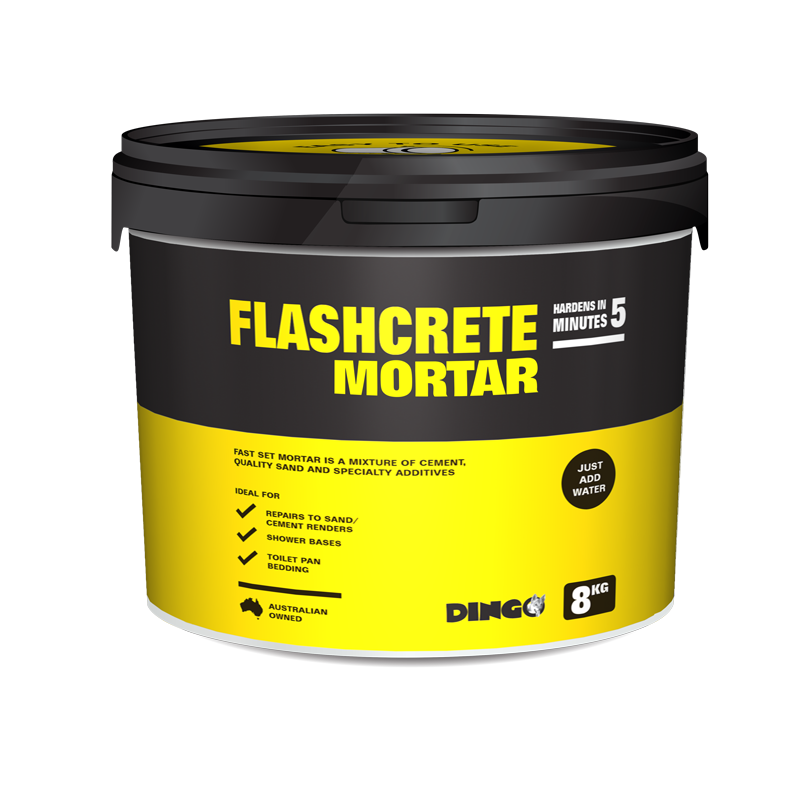 Approximately 1.1 litres of water to an 8kg bucket of Dingo Flashcrete. The water should be drinkable. Before patching your wall make sure surface is free of dust and lightly mist spray with water. Wash skin thoroughly after handling. Wash work clothes regularly.